I'm late to the party. Is there one in the works? 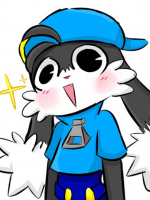 I don't wanna play Klonoa Heroes until it's translated to english. I'm John Doe and I'm anonymous. Please tell me this is still something. I'm just getting into romhacking and stuff, and I'd love to help if I could! I really want to see this through! I had an idea though idk a lot on codeing so take it as you will. I don't know if it will be much easier but. Instead of trying to hack he rom directly. 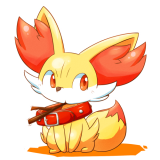 Why not just use a memory injector similar to how a trainer would work for a PC game but instead use it for a specific Klonoa Heroes rom or one that stores text in the same memory locations every time. Have it be that the trainer/memory injector temporarily overwrites the japanese story text with the english either in game or at least some where on screen where it is readable. it Might could do the same with npc text in the future as well. It's not an elegant or perfect idea but it is at least something. That sounds really interesting though. I won't do it of course but maybe someone here could look into it?